A New Year! A new Beginning! 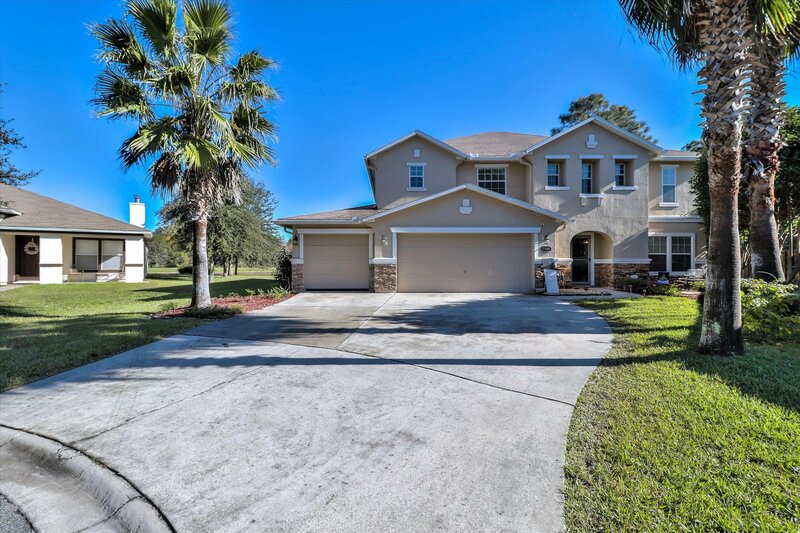 This lovely home has 5 BR, 2 1/2 BA and a 3 car garage and is situated on a cul-de-sac, in a quiet neighborhood. The 2 + acre, over-sized yard is beautifully landscaped and well maintained. The Master suite is on the first floor and boasts a large private bath and walk-in closet. The home features an open floor plan with laminate floors in common areas throughout. Upstairs you will find 4 BRS, a very large ''great room'', and a laundry room. 2 CH/A units ensures comfort year round. There are several ways to enjoy the outdoors. Sit on your patio and enjoy the serene view of the lake, or chill in either of two other peaceful settings. You don't want to miss this beauty, so make arrangements to see it today.Priced to sell at $289,900. Listing courtesy of HOMEBAY. Selling Office: COLDWELL BANKER VANGUARD REALTY.